New data from IndustryNet paints an optimistic picture of American steel fabrication companies. Throughout the U.S., the pace of manufacturing productivity remains steady as the economy keeps expanding. America's top steel fabrication companies depict how amenable the global economy is to U.S. manufacturers. Accelerating sales growth has become the hallmark of the American steel fabrication industry. Currently, average sales for the entire steel fabrication industry in the U.S. exceeds $34.7 billion while last year average sales totaled less than $29.7 billion. Are you looking to partner with a steel fabrication company? 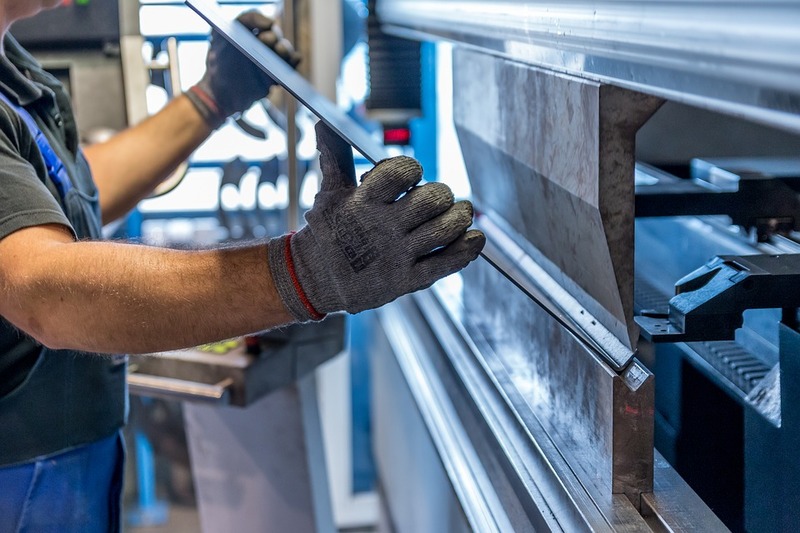 Check out IndustryNet's Complete guide to sourcing a metal fabrication company. Sales growth has climbed 17.24 percent, which far outpaces the U.S. manufacturing industry in general. The top 10 steel fabrication companies reflect how efficient and productive the industry has been since last year. 9. Oklahoma Steel & Wire Co., Inc.
10. Monroe Truck Equipment, Inc.
A closer look at each company adds context to IndustryNet's figures. AK Steel Corp., specializing in blast furnaces and steel mills, actually has two facilities in the same city. AK Steel Corporation handles metal fabrication. Blast furnaces and steel mills are the main products of North American Stainless. Similarly, MacAljon/SCL, Inc. primarily operates with blast furnaces and steel mills. Metal fabrication is The Haskell Company's expertise. High Steel Structures, LLC is another blast furnace and steel mill specialist. SFI Of Tennessee, LLC Is the only company in Tennessee to make the top 10. Paul Mueller Co. also serves as a blast furnace and steel mill company. Oklahoma Steel & Wire Co., Inc.
Oklahoma Steel & Wire Co., Inc. offers a range of products, such as hard-surface floor coverings and steel wire. Monroe Truck Equipment, Inc.'s competencies include metal products fabrication, motor vehicle parts and machinery. 4. Southeastern Construction & Maintenance, Inc.
9. J D Metal Works, Inc.
Interestingly, only The Haskell Company appears in both data sets. The Haskell Company was also the top steel fabrication company by employment growth. Greiner Industries, Inc. specializes in sheet metal work, industrial machinery and plating/polishing. Lavender, Inc. is the only steel fabrication companies in Alabama to make the top 10. Southeastern Construction & Maintenance, Inc. has additional capabilities in blast furnaces and steel mills. Aside from steel fabrication, Trinity Products, Inc. specializes in steel pipes and tubes. Herrick Corp. can also operate blast furnaces and steel mills. Beck Steel, Inc. stands out as the only company in Texas to make the list. Primarily, Lakeside Mfg., Inc. produces stainless steel, but the company also fabricates service industry machinery. J D Metal Works, Inc.
By employment growth, J D Metal Works, Inc. ranks as one of the fastest growing steel fabrication companies. Lastly, Merrill Steel is a noteworthy performer based on employment growth. IndustryNet is a one-stop free industrial sourcing platform that provides up-to-date data on 400,000 U.S. manufacturers and suppliers of more than 10,000 industrial parts and services, including 2,300 steel and stainless metal fabrication companies currently operating in the U.S.
Related Companies: AK Steel Corp., AK Steel Corp., Beck Steel, Inc., Greiner Industries, Inc., Haskell, Herrick Corp., High Steel Structures, LLC, JD Metalworks, Inc., Lakeside Mfg., Inc., Lavender, Inc., MacAljon/SCL, Inc., Merrill Iron & Steel, Inc., Monroe Truck Equipment, Inc., North American Stainless, Oklahoma Steel & Wire Co., Inc., Paul Mueller Co., SFI Of Tennessee, LLC, Southeastern Construction & Maintenance, Inc., Trinity Products, Inc.